Saunders Midyette, vice-president and national sales director for the St. Clair Group, Inc., presented an overview of the Patient Protection and Affordability Act. Jim Haden, president and chief executive officer at Martha Jefferson Health Services and Hospital, and Carol Craig, government relations specialist at the University of Virginia Medical Center, addressed how cost and access for Virginians will be affected by the Act. The panelists spoke at the September 8, 2010 meeting of the Senior Statesmen of Virginia. The meeting was held at The Charlottesville Senior Center. Following the presentation, questions were taken from the audience. The program was moderated by SSV board member and secretary Bill Davis. Since 1998, Saunders Midyette has served as vice president and national sales director for the St. Clair Group, Inc., and President, Jackson Group, L.L.C., in Charlottesville. In the three decades previous to that he held the positions of vice president and chief financial officer with the Sisters of Providence Health System in Springfield, Massachusetts (1996-1997); senior associate with The Hunter Group in St. Petersburg (1995-1996); vice president and chief operating officer for the Greater Southeast Healthcare System in Washington, DC (1994-1995); chief operating officer with the University of Virginia Medical Center (1991-1994); associate director and administrator with the University of Michigan Hospitals (1987-1991); associate director and chief financial officer with the University of Michigan Hospitals (1979-1987); associate administrator and chief financial officer with the University of Utah Hospital in Salt Lake City (1976-1979); and controller and chief financial officer with the Hospital of University of Pennsylvania (1966-1976). Mr. Saunders received his BA from the University of North Carolina, and his MBA from the Wharton Graduate School, University of Pennsylvania. He is a member and past fellow of the Healthcare Financial Management Association, and a past fellow of the American College of Healthcare Executives. Mr. Saunders and his wife Shirley of 47 years moved to Charlottesville from Ann Arbor Michigan in 1991. Shirley serves as an interpreter at Monticello and when Saunders is not being called upon to present his wisdom and knowledge, he is an avid reader, tennis player, sports and classical music enthusiast. James E. Haden was named president and chief executive officer of Martha Jefferson Health Services in 1993. Mr. Haden received a master’s degree in Public Health/Health Services Management from UCLA in 1971. He completed his administrative residency at Scripps Hospital in LaJolla, California, and received the 1988 Alumni of the Year Award from the UCLA Health Services Management Alumni Association. Mr. Haden served as president / CEO of Queen of the Valley Health Services in West Covina, California (1986-1993). Prior to that, he served as chief operating officer of Hoag Memorial Hospital Presbyterian in Newport Beach, California (1978-1986). He served as associate administrator at Huntington Memorial Hospital in Pasadena, California (1976-1978). In 1992, Mr. Haden was chairperson of the California Association of Catholic Hospitals and was a member of the Hospital Council of Southern California (1988-1993). 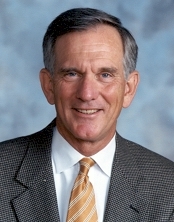 Mr. Haden served as a board member on the Federal Reserve Board of Richmond from (1998-2003). He is a former board member of the Charlottesville United Way, the Piedmont Virginia Community College Foundation and Charlottesville Chamber of Commerce. He is currently a board member of the Optima Health Plans of Virginia Beach; a board member of Virginia National Bank; a board member of Voluntary Hospitals of America – (VHA) Central Atlantic; and, in 2008 and 2009 he served as chair of the United Way Excellence in Non-Profit Leadership Award Committee. Mr. Haden is a member of the Senior Statesmen of Virginia. Mr. Haden served as a preceptor at UCLA Health Services Management Program (1981-1987) and has served as a preceptor for VCU’s Masters Program in Health Care Administration. In 2003 Mr. Haden was the recipient of the American Heart Association, Charlottesville Chapter, “Billy” Gitchell Award. 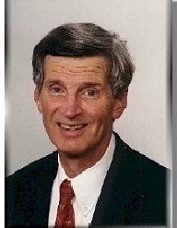 In 2006 Mr. Haden was the recipient of the National Multiple Schlerosis Society Blue Ridge Chapter Silver Hope Award. Mr. Haden is the 2008 recipient of the Beta Kappa Chapter, Sigma Theta Tau, UVa School of Nursing Community Service Award. Mr. Haden is married to Sue Haden and they have three children. Carol Huston Craig was appointed government relations specialist at the University of Virginia Medical Center in April 2010. In this position she is responsible for tracking state and federal legislation impacting the Medical Center; preparing advice statements on legislative and regulatory issues impacting the Medical Center; planning and organizing on-site educational programs for legislative guests and off-site visits to legislators; assisting in the preparation and submission of COPN applications; and assisting in the review of Medical Center policies. Prior to joining the UVa Medical Center, Ms. Craig served as university counsel at the University of Maryland Baltimore (2000-2004), and previously as assistant university counsel (1997-2000). 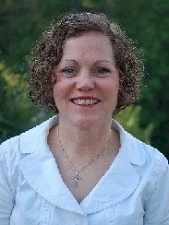 She was associate legal advisor at the Medical College of Georgia in Augusta, Georgia (1995-1996), and an assistant legal advisor (1990-1995). She was assistant general counsel at Baylor University in Waco, Texas (1987-1990), and staff attorney (1986-1987); and an associate in private practice in New Orleans, Louisiana (1984-1985). Ms. Craig received her B.S. in Marketing at Louisiana State University in Baton Rouge, attended Loyola University School of Law in New Orleans, and received her J.D. from the University of Virginia School of Law. She and her husband, Stewart, have two children, Mary Grace and Colin, ages 15 and 12, respectively. Although working and raising her children leaves little time for leisure activities, she enjoys reading, fine dining, attending UVa sporting events, traveling, and helping others. Mr. Midyette outlined the objectives of the PPAA as: (1) increase access to health insurance by providing coverage to millions of uninsured persons; (2) change insurance rules to protect individuals from arbitrary health coverage limits and exclusions by insurers; (3) build on existing “employer and government sponsored” insurance programs; and (4) accomplish these health act reforms with a phased implementation schedule. A number of mandates on insurers become effective in 2010 including no lifetime benefits limits on coverage; no denial of coverage to children with pre-existing conditions; no cancellation of coverage for individuals if they get sick; dependent children up to age 26 can remain on their parents’ plans; rebates will be provided to policyholders under certain conditions; and the temporary use of state and/or federal high-risk insurance pools. Medicare mandates begin with a $250 rebate when the pharmacy “doughnut-hole” is reached and increase until 2020 when the doughnut-hole is eliminated entirely. Mandates on individuals begin in 2013 when families with incomes above $250,000 will pay an additional 3.8% tax on investment income and will also have to contribute more in payroll taxes. All US citizens and legal residents will be required to carry health insurance in 2014 or pay a federal penalty. Beginning in 2010 small businesses (maximum of 50 employees) can receive tax credits to provide coverage. Ms. Craig compared what the federal government sees as the impact of PPAA with that of the National Center for Policy Analysis. The latter says that the cut over the next decade in Medicare will force 1 in 7 health care facilities out of business, and by 2050, 40% of existing health care facilities will be forced to close. The wait will be longer and there will be insufficient doctors and nurses to handle the increased number of patients. She covered a number of access, cost, and legal issues stemming from the extension of coverage to 32 million uninsured (yet with still 23 million to remain uninsured, one-third of those may be undocumented migrants). Although the act makes more money available to finance the medical education of primary care physicians and surgeons, there could be more medical school graduates than residency slots if the number of residency slots continues to be capped. Mr. Haden commented that the bill is almost 2,000 pages in length, and the regulations could easily become 30 times that, and the provisions of the bill will be phased in over a very long time. The Medicare plan will be fine, but access will become a challenge with more people covered at the same time as doctors are retiring. One thing he doesn’t see enough of in the in plan is an emphasis on individual responsibility; the population is becoming less healthy and there is a large population of obese. It is also likely that some businesses will choose to take the penalty for not offering coverage because it would cost them less. At this time there is probably more unknown than known about the bill and a lot of it is still to be played out.